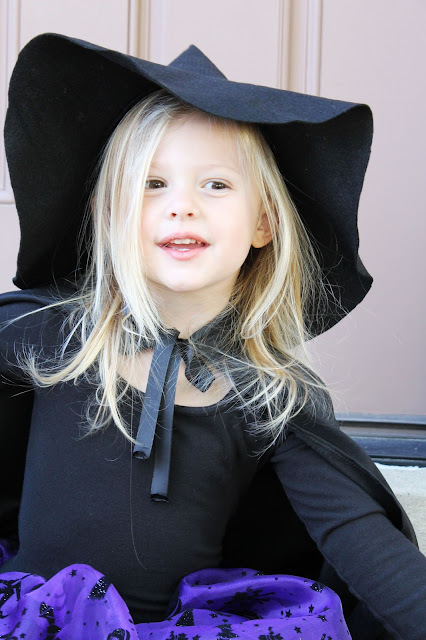 I am just finishing up with Chelsea and Alexa's Halloween Costumes! I don't know why, but this pregnancy is rendering me a HORRIBLE decision maker and it took me over a MONTH to decide exactly what the girls would be for Halloween. Chelsea and I finally decided on a witch costume for her and a black cat for Alexa. 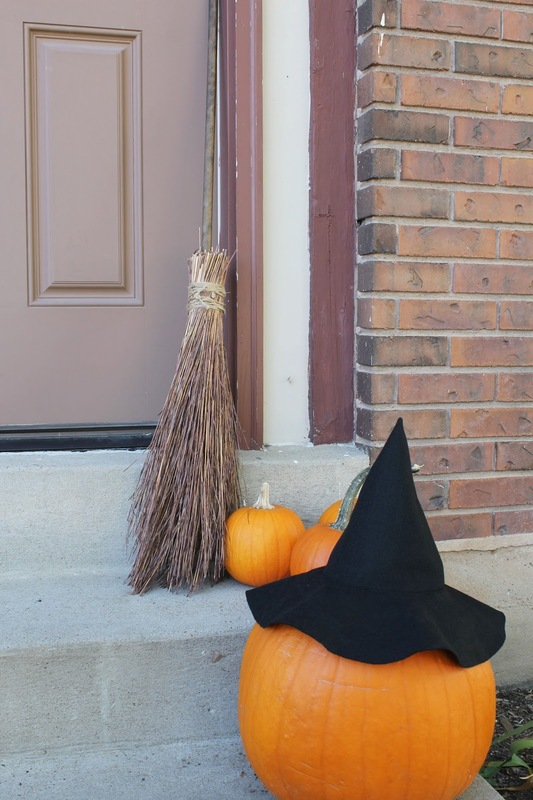 I'm pretty sure the broom stick was what won her over. The simplicity of the entire ensemble was what won me, and it would be SO easy to adjust this pattern for yourself! Iron, scissors, machine, thread, etc. Two panels as wide as the calculation determined above and the length from the toddler's waist to the floor. Iron any wrinkles out of your panels and use a zig zag stitch along the shorter ends to prevent fraying. Pin your two panels together along the shorter ends, right sides together. Use a straight stitch to sew the panels together with a 3/8" seam allowance. Iron these seams open. 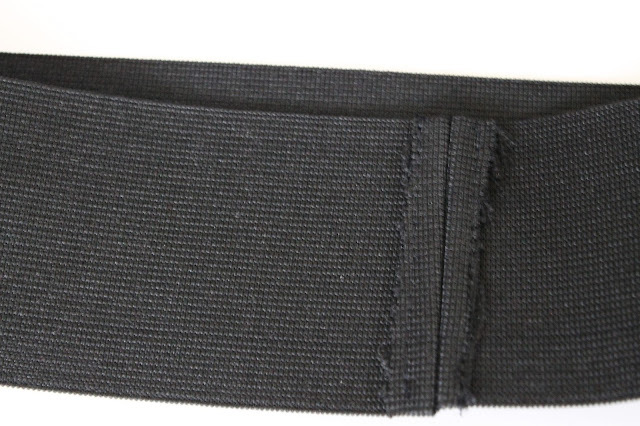 Cut the elastic to your toddler's waist measurement, minus 2 inches. Zig zag stitch the short ends and pin them together. Use a straight stitch to sew the ends together with 3/8" seam allowance. Iron the seam open then sew the ends down on the elastic with a straight stitch, just inside the zig zag stitches. 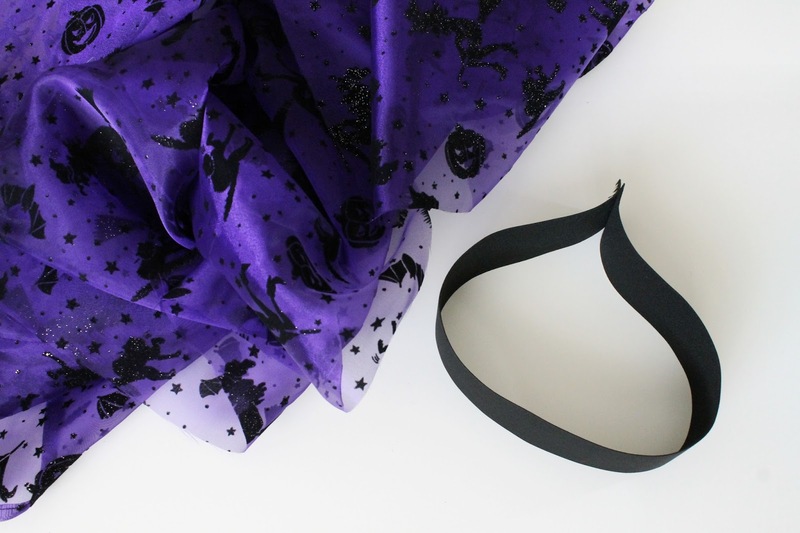 Set your machine to the longest stitch and sew around the top of the two panels you've sewn together beginning at one side seam and continuing half way along the top of the skirt to the other side seam (3/8" seam allowance). 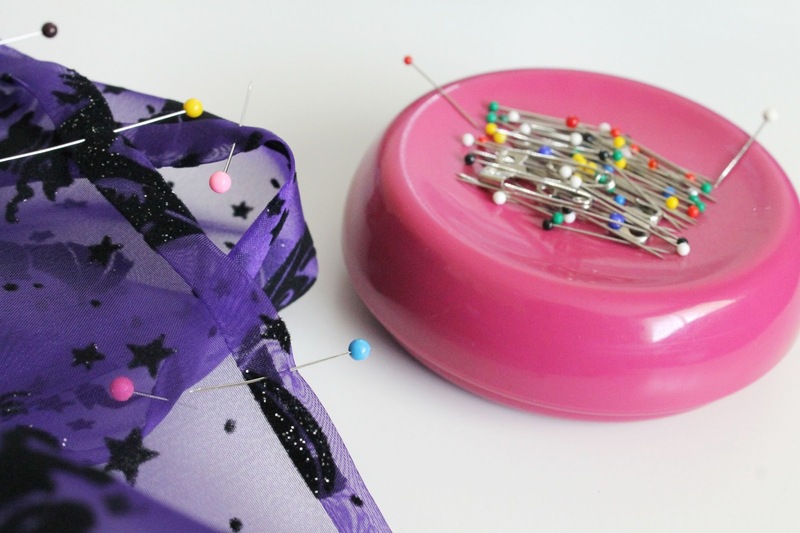 Lift your sewing foot and needle at this point and cut the thread to be 5 or 6 inches long so that you can easily gather. Begin a new stitch from the side seam you left off on to the other side sea, leaving a 5-6 inch trail thread. Find the sides and the centers (front and back) of the skirt. Pin them to the Elastic at the sides and centers, pulling skirt fabric up to hide 1/2" of the top edge underneath the waistband. 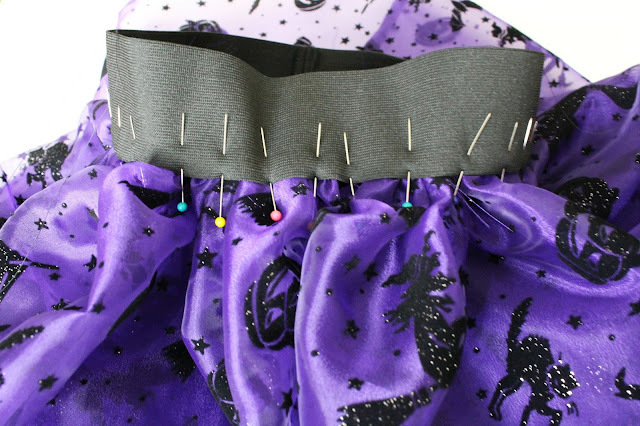 Pull the trail threads to gather the fabric until the skirt fabric fits the elastic and pin in place, hiding 1/2" of the top of the skirt fabric underneath the elastic waistband. Use a zig zag stitch to attach the skirt to the waistband. Start at the back of the skirt, or seam of waistband, and use a zig zag stitch to attach them along the edge of the waistband. We use a zig zag stitch here to prevent fraying of the skirt fabric and because the zig zag stitch will allow the elastic to stretch. 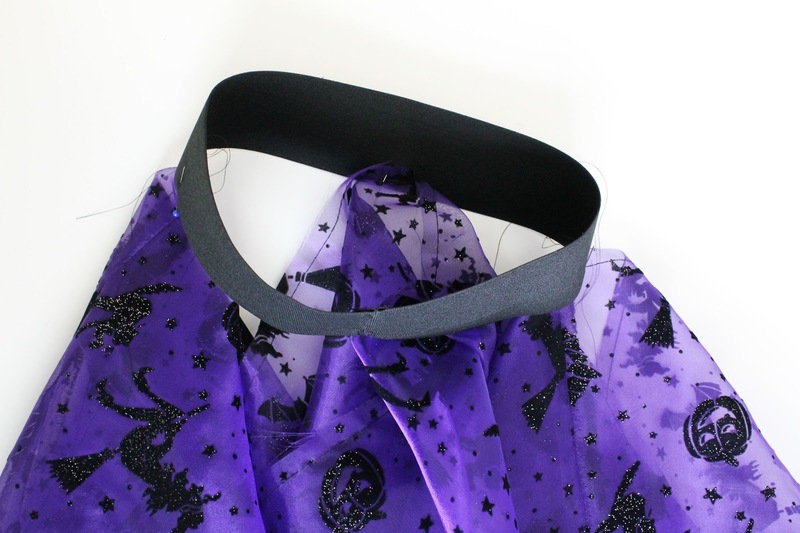 If you're looking for a cleaner look, there are stretch needles you can buy that will allow you to use a straight stitch instead, but since the elastic is black and this is a costume piece, I didn't mind. 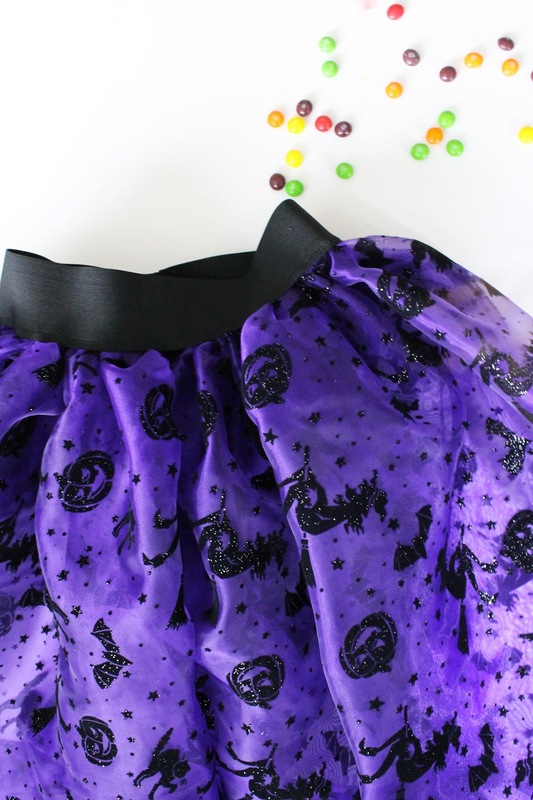 Try the skirt on your toddler and decide how long you want the skirt to be. Add an inch to that and cut any excess fabric. 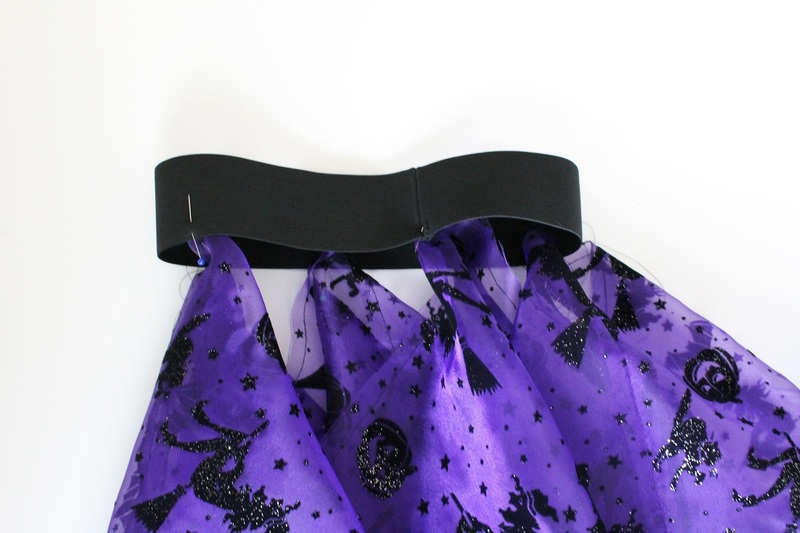 Take your skirt to the ironing board and fold the bottom edge under twice 1/2". 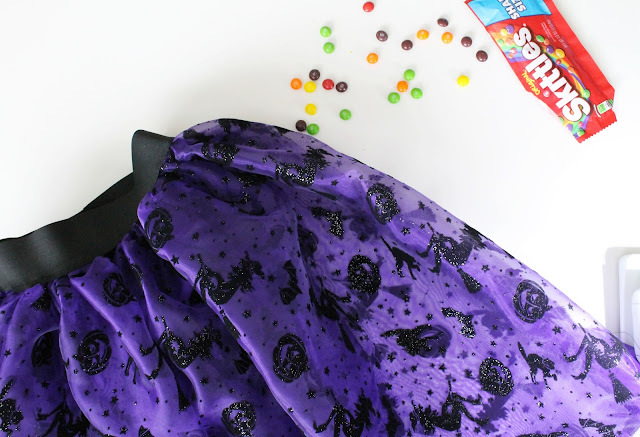 Iron these folds, pin for extra precaution, then use a straight stitch to sew the hem in place and you're finished! And the finished product is the BEST! 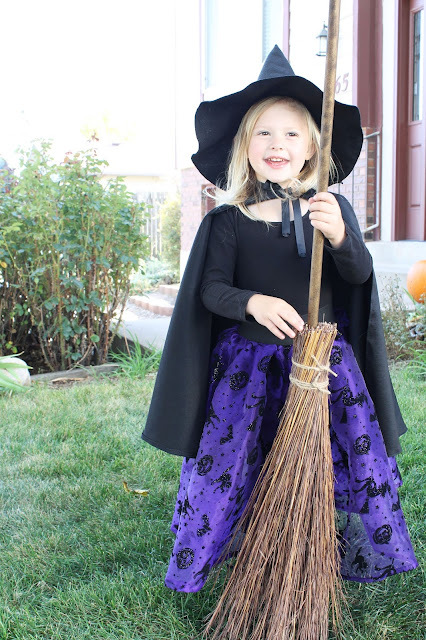 I cannot get over how cute this little witch is! Look forward to a couple more tutorials (hopefully) before the week is through for more of Chelsea's costume!